Just when you think you’ve seen it all, this level of cuteness far surpasses everything! Imogen The koala joey is celebrating her first birthday in November. 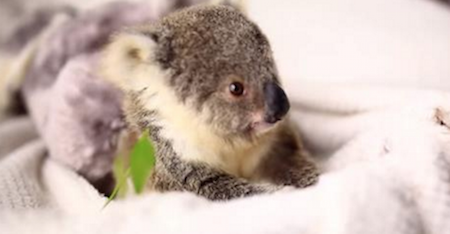 To mark the occasion, the Symbio Wildlife Park in Australia gave the adorable little cutie her very first photo shoot. As you will see in the video below, she’s a true natural with the camera! WARNING: Be Careful When Getting A Pedicure, This Could Happen To You!